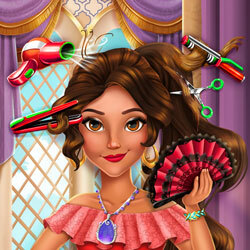 Description: The beautiful Latina Princess really wants a change of look, and she came to you for help! Could you help style and dye her hair in a new and unexpected way? Once her haircut is complete, choose her a new outfit and add accessories to complete her makeover!